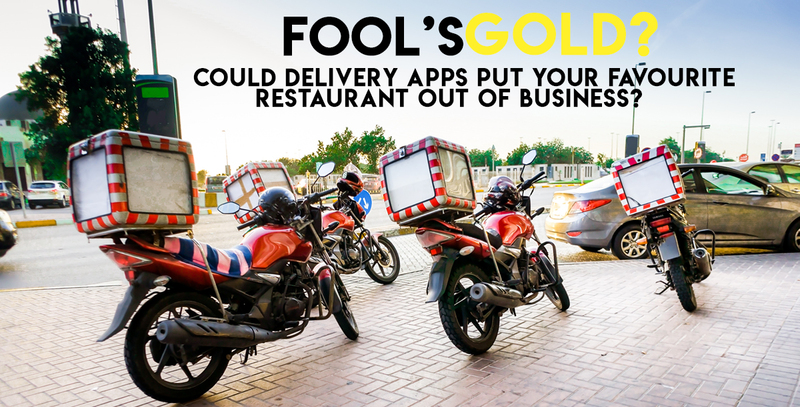 Just by looking at the number of food delivery drivers zipping between cars and darting around the communities of Dubai, you know that food delivery and third-party apps have made a massive impact on how we consume our food. According to a recent KPMG report, 60% of UAE consumers use a food app on their smart phone. There is no doubt about it – food delivery has become part of our everyday lives. If you were to believe a recent Capital Economics report, 3rd party apps are contributing positively to the F&B industry. 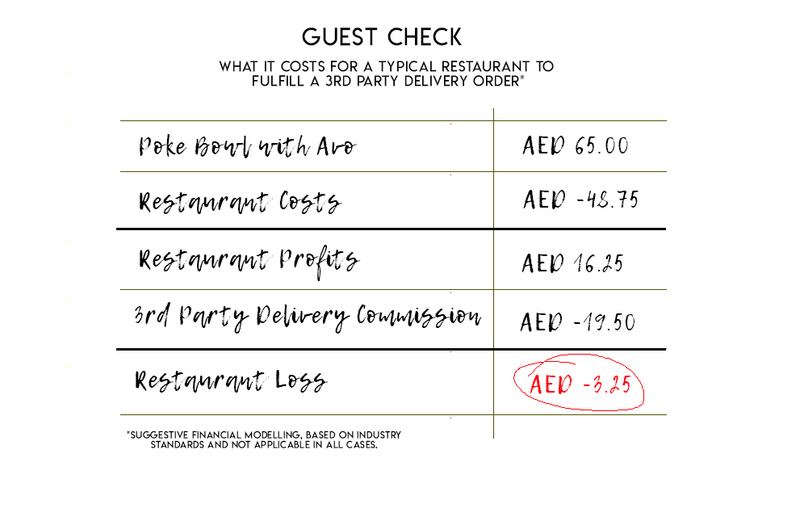 According to Capital Economics, a company specialising in both commissioned and independent economic reports, Deliveroo is supporting 3,200 jobs across the UAE and providing 399 million dhs of incremental revenue for the restaurant sector. However, I’ve spoken to many local restaurateurs about this situation, and they tell a very different story. If you go beyond the façade of convenience and instant gratification, there is an argument that says third-party delivery apps are slowly destroying the restaurants we love. In fact, one local restaurateur, who preferred to remain anonymous, describes them as aggressive, arrogant and heartless. For smaller restaurants that run on incredibly tight profit margins, it paints a desperately sad story. Here’s how it works. All the third-party delivery companies reach out to as many restaurants as possible and offer their services. The objective is to be the platform with the most choice and variety. The ordering, payment and delivery service is known as the “full stack” solution. With some platforms, you can take their delivery option or not, with others, the full stack is the only option. They all want you to sign exclusivity, meaning you can’t be listed with anyone else. To encourage that, they offer you a lower commission rate of 25%. If you don’t sign exclusivity, it will be 30% commission or upwards. In some cases, restaurants lose money on these orders. Then, because the app’s listings are a hot mess of thousands of restaurants, some real, some just kitchens, it becomes almost impossible for the consumer to make any meaningful choice. 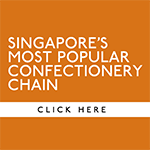 So, it becomes a sterile, price-driven marketplace – each restaurant is encouraged to offer more and more discounts to get noticed and obtain orders, and the survivors are the ones who can control their margins better. The combination of an industry that has very thin margins with an industry that has upside-down margins is not a wise or healthy combination. As the income of these restaurants gets chipped away by commission and discounts, they are forced to take measures to merely survive. It is this state of survival that is doing the most damage to our industry, in my opinion. Restaurants will compromise on ingredient quality, reluctantly ordering cheaper and cheaper ingredients to make their margins. They will spend less on marketing, relying on their exploitative delivery partners to bring them customers, thus making them even more dependent on them. They will hire the cheapest of labour, thus diminishing their service standards. They will cook and produce food that is commercially safe, thus killing creativity and innovation and all that will be left are functional food spaces that are barely holding on. Let’s not mention the amount of plastic used in delivery. A container for the salad and another one for the dressing. One for the croutons and one for the grated cheese. Such irresponsible waste, but it costs money to use ethical packaging, and when your margins are so low, you have to choose the cheap plastic that kills our planet. It seems to go deeper and deeper the more I talk to restaurant owners. 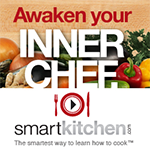 With the rise of these so-called virtual kitchens, restaurant operators are effectively handing over their recipes and know-how to these companies. One 3rd party delivery company is now offering what they call “food brokerage” where they negotiate bulk deals to get restaurants cheaper prices from suppliers. Sounds great, but in reality, you are handing over your entire supply chain to them, and at some point, you have to question what part of your business are you left controlling? So, I ask the restaurateurs of Dubai, do you want to be the operator that these companies learn from, for them to be your direct competitor tomorrow? Actually, let me correct that – they’re your competitors today. So, are these online delivery companies good or bad for restaurant business? Why do so many restaurants sign up with them if they are so bad? These are valid questions, and there are obviously some advantages to partnering with the third-party delivery guys. To illustrate this, a restaurant boss I spoke to claims that if he doesn’t use these delivery platforms, he would have to shut his doors tomorrow. Another restaurant went from almost zero delivery orders to over 1,000 in their first month of signing with a 3rd party delivery company, so clearly there are positives to come from this kind of partnership. Furthermore, they have an enormous audience reach and have invested billions into logistics and technology infrastructure, and it is clear there is an optimal way to benefit from them. However, I think the advice is never let them overtake your own in-house and take away business, which must remain your priority. Develop a strong brand first, with a good following and the delivery platform should just enhance your existing business. If your biggest customer is that electronic device that feeds you anonymous orders, then you need to re-work your business model because you’re heading for trouble. Restaurants have already lost their direct connection to their customers, so they need to think twice about handing over access to their recipes, techniques, and supply chain. These are what makes them unique and special. Finally, if you have been paying attention over the years, you will know that I am a big advocate for community dining – I believe restaurants are the lifeblood of a community. It is where I learnt my trade, where my family celebrates milestones and where countless stories and memories are made. So again, I urge you to support local – visit your favourite restaurants and allow them the financial resources to re-invest into their businesses and community with training and innovation and expansion.